Signed for the 2011-12 season by Crvena Zvezda Belgrade juniors. Moved to Belgium for the 2012-13 season, signed by Spirou Charleroi. Signed for the 2013-14 season by VOO Verviers-Pepinster. Back to Serbia for the 2015-16 season, signed by BC Mega Leks Belgrade. Moved to Slovenia for the 2016-17 season, signed by BC Olimpija Ljubljana. 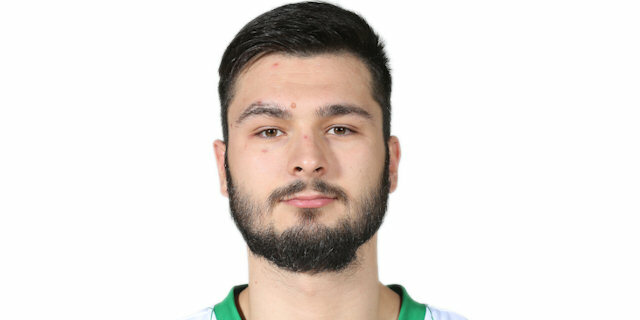 Moved to Turkey for the 2017-18 season, signed by Sakarya BB. Moved to Spain for the 2018-19 season, signed by Estudiantes Madrid. In December'18 moved to Serbia, signed by BC Partizan Belgrade. Won the 2016-17 Slovenian National Championship with BC Olimpija Ljubljana. Won the 2016 Serbian National Cup with BC Mega Leks Belgrade. Won the 2017 Slovenian National Cup with BC Olimpija Ljubljana. Won the 2019 Serbian National Cup with BC Partizan Belgrade. Named 2017 Slovenian Cup Final MVP. Has been member of the Serbian U-16, U-17, U-18, U-19 and U-20 National Team. Won the silver medal at the 2011 European U-18 Champoinship. Won the silver medal at the 2013 World U-19 Championship. Played at the 2010 World U-17 Champinship.